What is our approach to Quality Improvement? Improving quality is about making healthcare safer, effective, patient centred, timely, efficient and equitable. An embedded culture where the voice of staff, patients, families and carers are listened to, acted on and used to encourage changes for the better. All of our improvement work is Visual, supported by leaders and celebrated both internally and externally. We strive to set an example and be somewhere that other Trusts, teams and departments can come to learn about team-driven changes can be achieved. Who are the Quality Academy team? This Multi-Disciplinary approach allows us to drive positive change whilst truly understanding demands, pressures and challenges that our wards and departments are experiencing. Our colleagues are reassured by our inclusive approach and empowered that we as a team are so heavily involved in ensuring that Trust wide change and improvement is managed effectively taking into account the needs of all user groups. 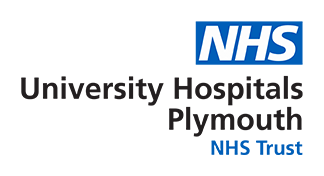 We constantly challenge traditional ways of thinking and working in order to improve both patient safety and the day to day lives of our University Hospitals Plymouth staff. To find out more about our team click here. How do we share our learning? Each month we hold a ‘Report Out’ event, which is open to ALL staff. This provides a forum to share learning relating to improvements that are ongoing in all areas throughout the Trust as part of the #PeopleFirst programme. All staff are encouraged to share their improvement projects and learning internally across the Trust as well as externally on National and International platforms. Learning is also shared within the Trust over a variety of platforms via the UHP Communications Team.